Pretty solid rumors going back a few weeks have been suggesting that Apple’s 2018 iPhone lineup will all ship with new faster 18w chargers when they launch in or around September, but it appears that third-party compatibility might be an issue if a new report is anything to go by. According to Japanese blog Mac Otakara, which cites its own sources within the supply chain, it’s possible that the chargers built by third-parties will need USB-C Authentication certification, otherwise known as C-Auth. While the third-party chargers that are not certified will continue to charge, it will be at a reduced speed, limited to a maximum of 2.5w. This will mean that the plethora of cheap chargers found may not work to their full potential, although they will at least charge. The USB-C Authentication that will apparently be required is designed to protect users against such non-compliant chargers. The potential is there for maliciously embedded hardware or software to be used in such chargers, something that Apple’s focus on security simply will not allow. However, with a number of USB-C fast chargers available that are fully sanctioned then there should still be plenty of choice if you want to get a third-party charger, perhaps for your 2017 iPhone. There are over 1,000 member companies that are part of the USB Implementers Forum, including Apple, so there should not be a shortage of options to consider. 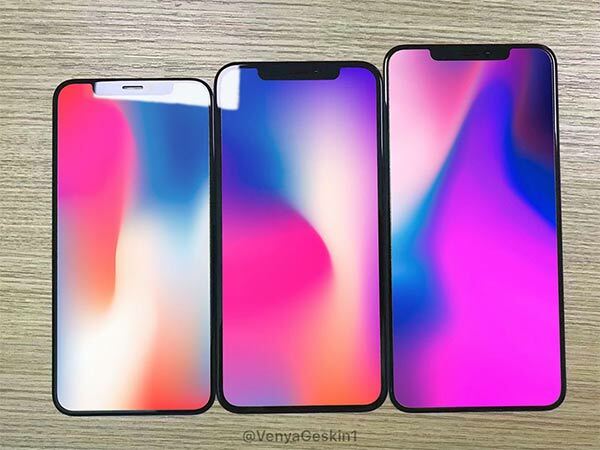 Apple’s 2018 iPhone lineup will, if rumors are correct include three new handsets all of which will support USB-C fast charging similarly to the iPhone 8/iPhone 8 Plus and iPhone X which came before them.